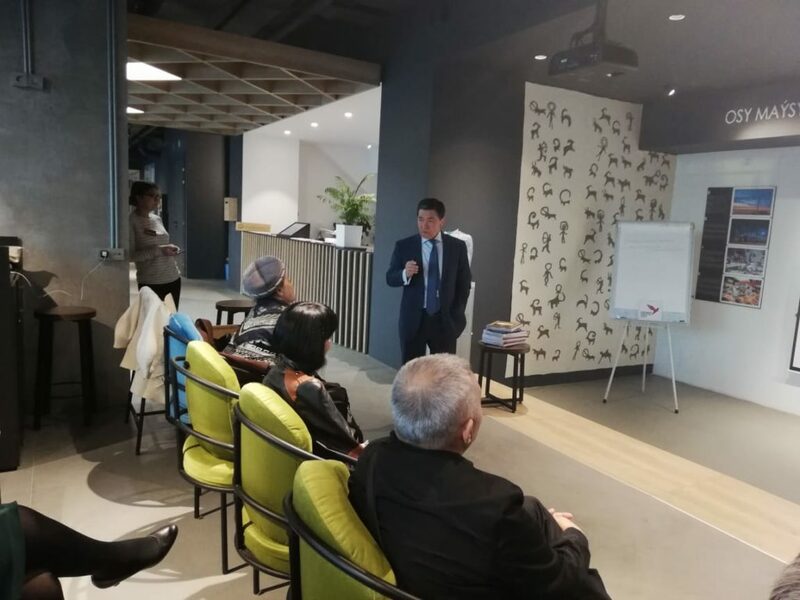 On March 25, the first creative meeting of members of the Eurasian Creative Guild (London) took place in Almaty. Creative meetings are different from ordinary ones in that we define in advance speakers who have more time to speak and come with a prepared program. Due to the fact that the members of the guild are the most diverse representatives of the creative intelligentsia, the program turned out to be versatile and rich. 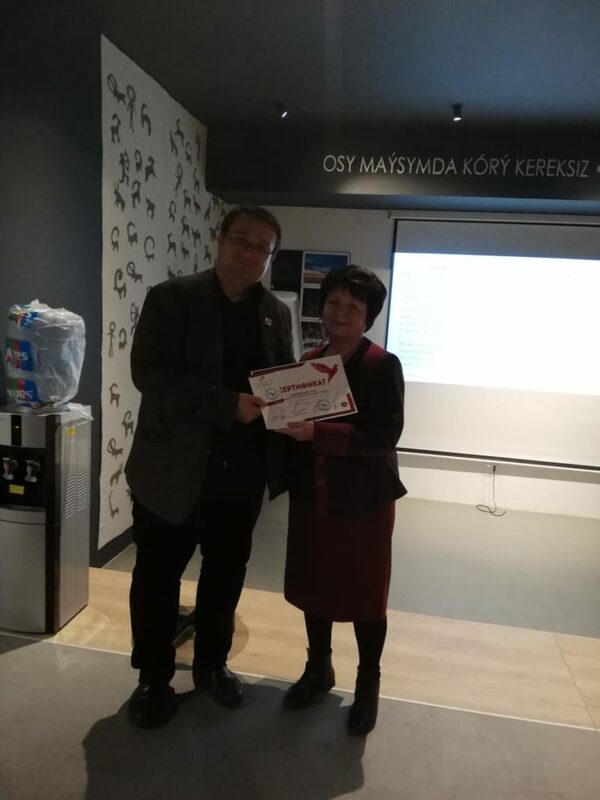 Sabden Orazaly – Kazakh economist, academician of the Russian Academy of Natural Sciences, MIGI, NIA RK, State Prize Laureate of the Republic of Kazakhstan, professor, public and political figure. 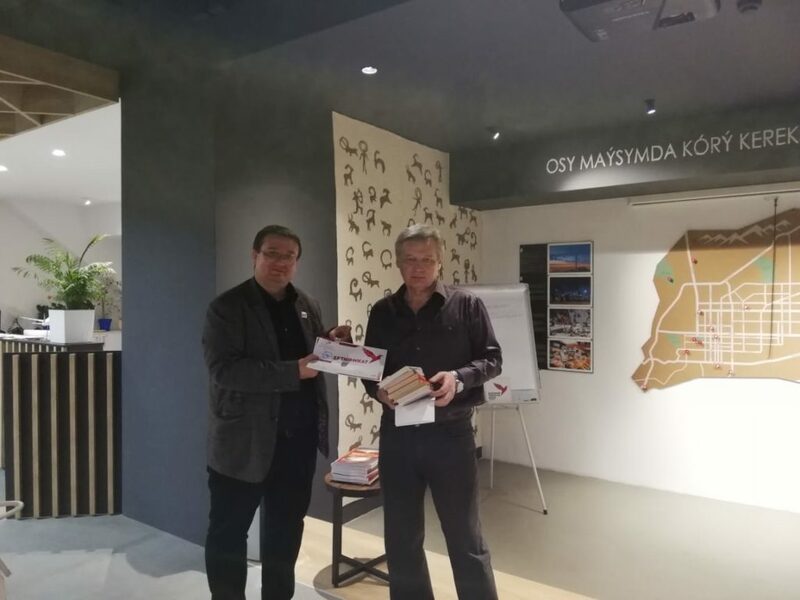 He told about his book “Abai, the future of Kazakhstan and World civilization” and his projects for the development of the country’s economy. 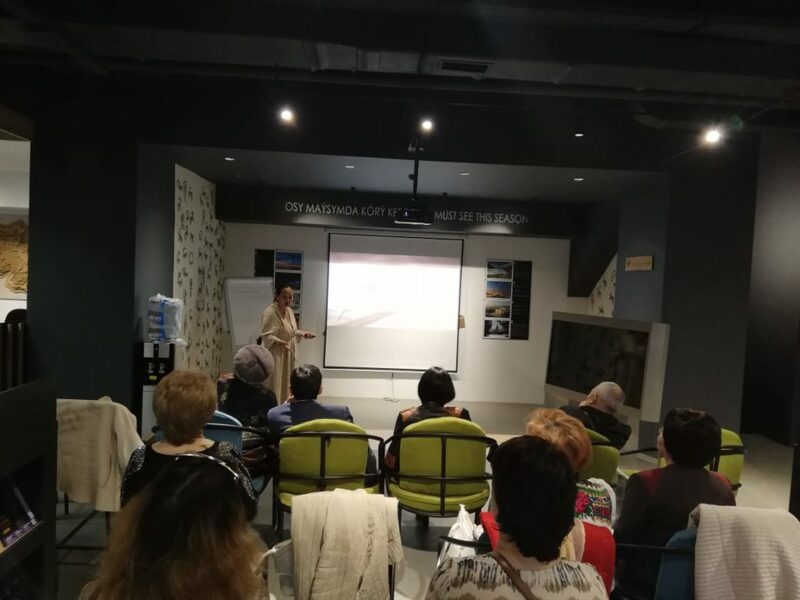 Dana Meirbekova presented the project “Art mobile”, which helps the musicians of Kazakhstan, and the trailer for the documentary film “The Great Silk Road”. 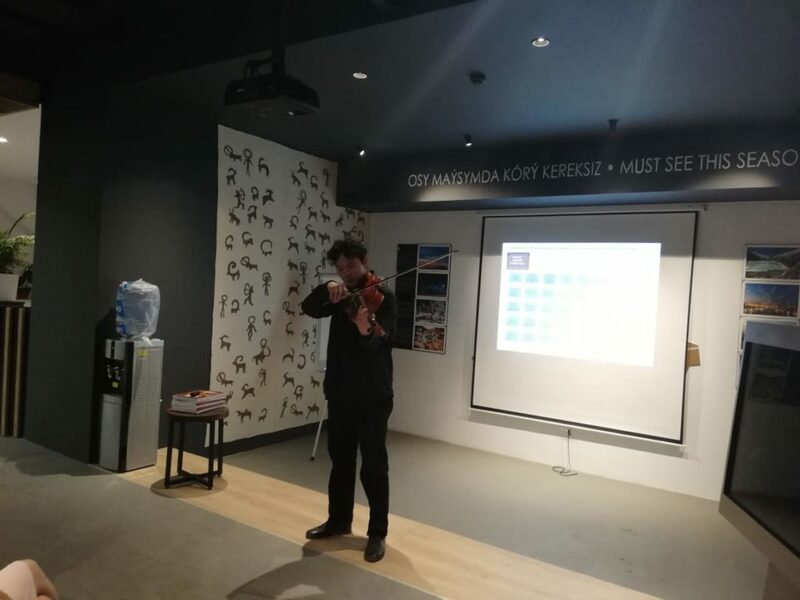 Also, her son, a professional musician, pleased all the guests with a wonderful violin playing. Arkady Teplukhin is a marketer, author of business books. Presented his books about business, thoughts and aphorisms, the novel “Journey of a teacher of literature to Moscow” mysticism, adventure. Valentina Khristoforova – psychologist, teacher. 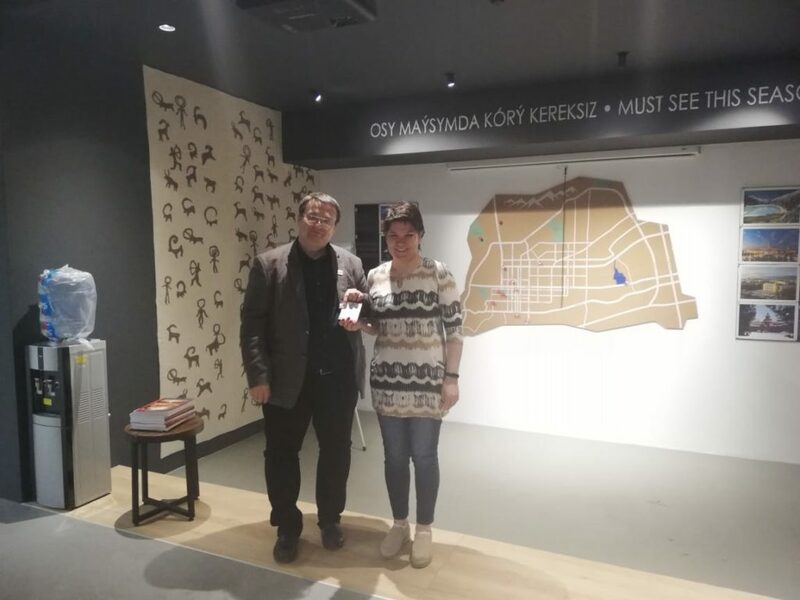 She told about the book about Nikolay Khristoforov (participant of the Great Patriotic War) and read his poems. 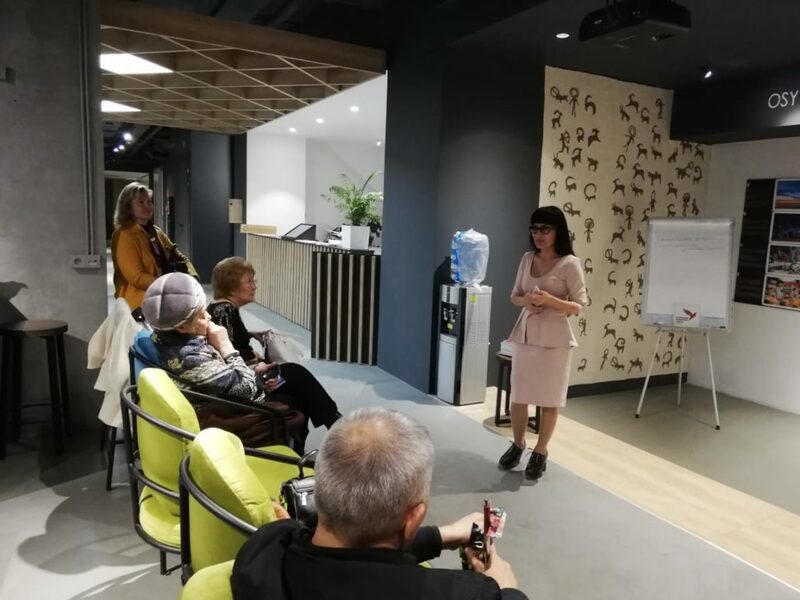 Ayzat Rakysheva – a writer, a finalist of the Open Eurasia 2018 contest told about her books. 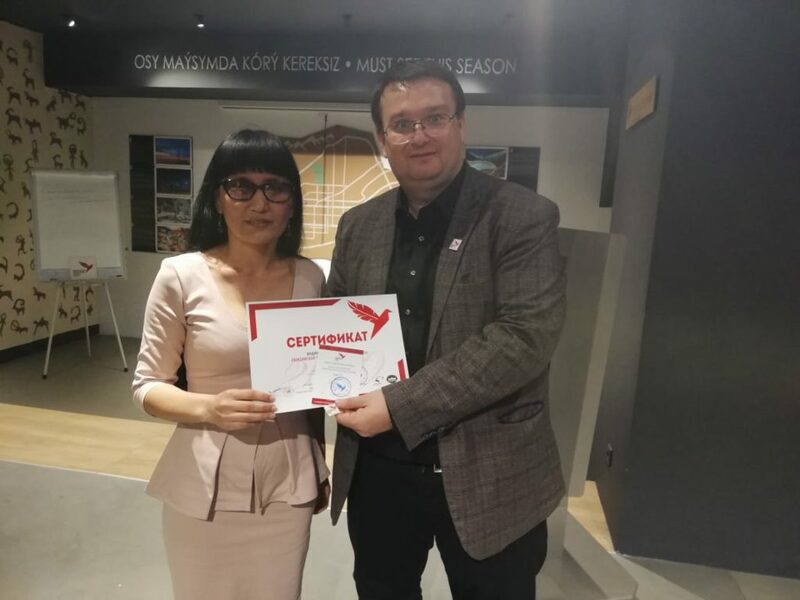 Also, the vice-chairman of the guild Marat Akhmedzhanov handed the badges of the guild members to all speakers. We thank all the speakers and guests for sharing this dynamic and informative evening with us. Now creative evenings will be held regularly. 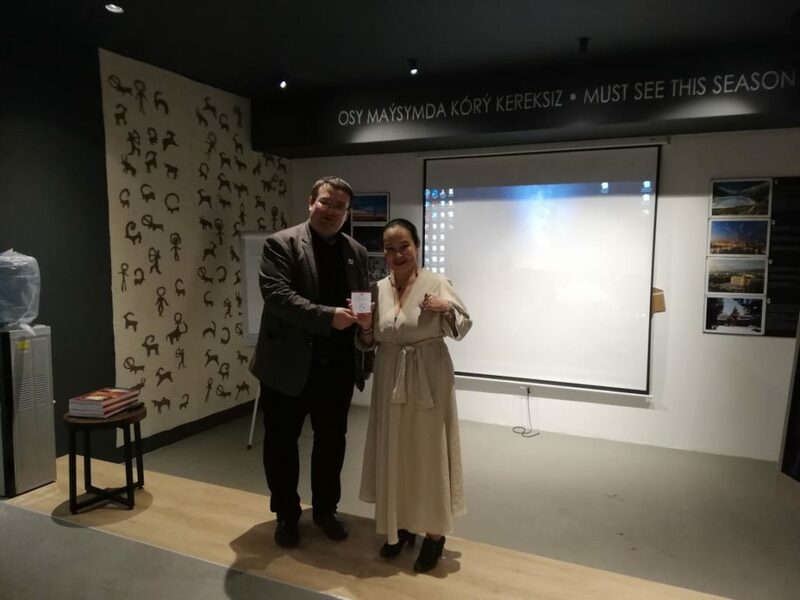 We also express our deep gratitude to the literary club “451 Degrees”, in particular to Amanzhol Abiyev and the Visit Almaty center for the provided place.